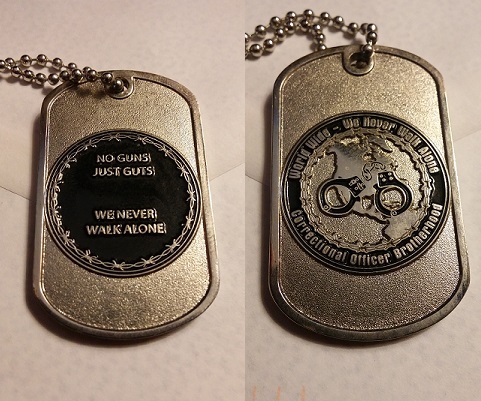 Correctional Officer Brotherhood Keychain- Featuring the COB Logo on front, and "WALKING THE WORLD'S TOUGHEST BEAT / NO GUNS - JUST GUTS on back. 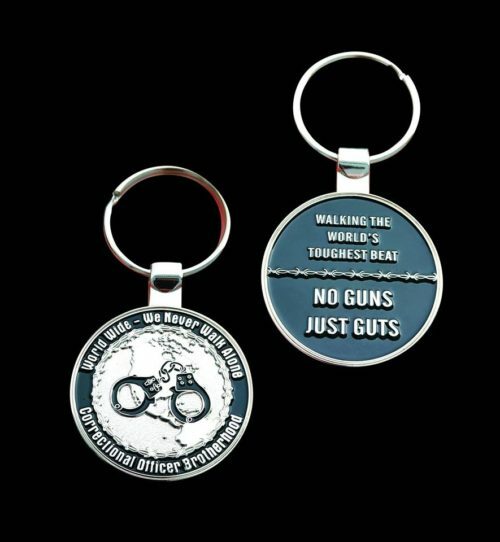 Great gifts or fundraisers for your correctional facility or union. 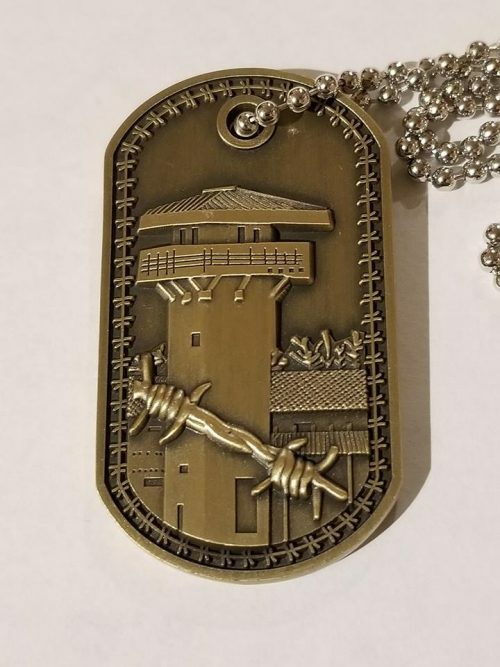 These have to be made, so please allow approximately 2 weeks for completion and shipping.